Valentine’s Day is one of those holidays that has become more of a “thing” over the last few years. I blame Pinterest! Granted we don’t normally celebrate Valentine’s Day as a family. 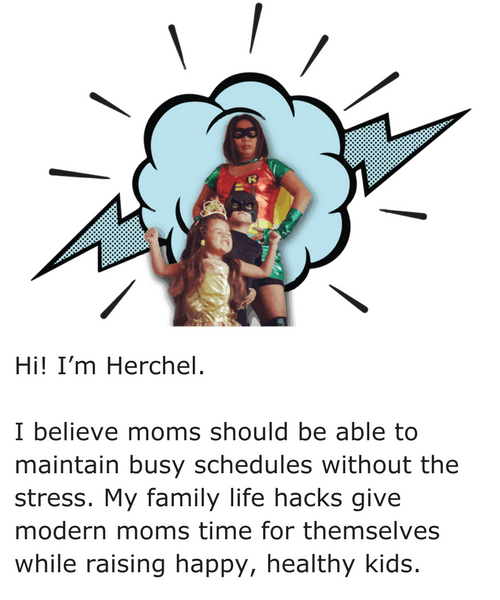 We do the cards and the candy for class, but otherwise, it’s a normal day in our house. 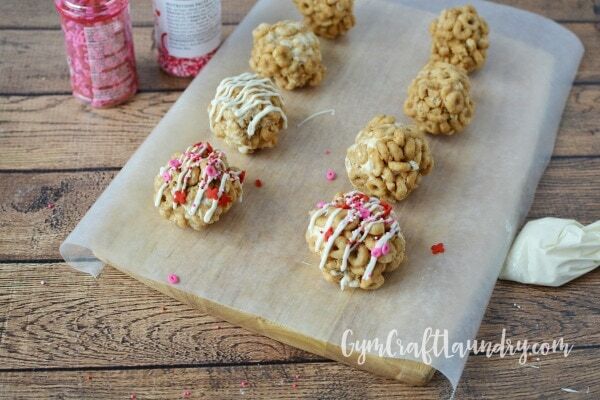 I try to make easy Valentine’s Day cheerio balls because the kids get a kick out of it. 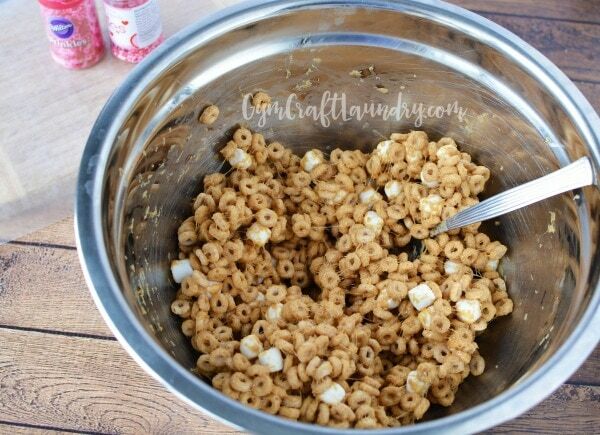 The kids love our themed cheerio ball snack recipes. 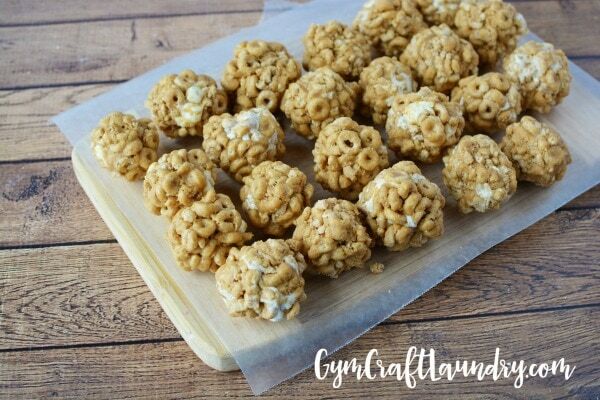 It is so easy to customize Cheerio Ball Snacks for every occasion. If you like this, try out our St. Patrick’s Day Treats! Heat butter in a small saucepan on medium heat until melted. 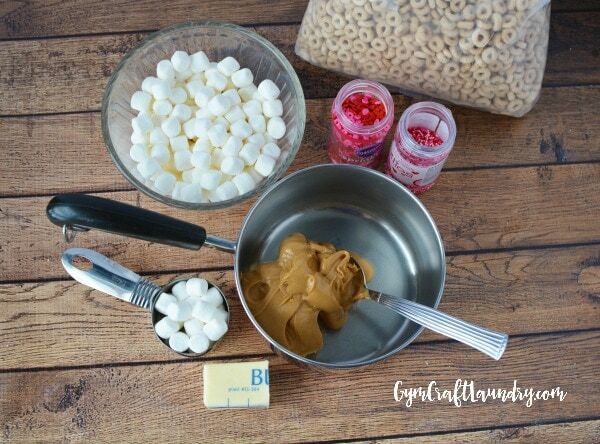 Add the cheerios and remaining marshmallows. Spray hands with cooking spray or rub with coconut oil to make rolling balls easier. Place white chocolate chips into a plastic zip top bag but leave bag open. 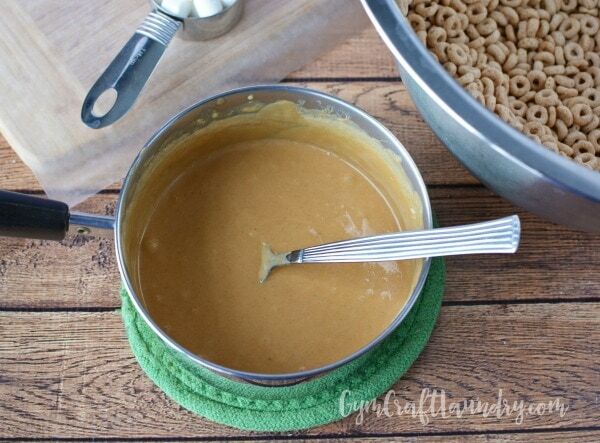 Microwave 30 seconds, knead, and return to microwave in 15-second intervals, kneading after each time. When completely melted, seal bag and snip. When completely melted, seal bag and snip a corner of the bag. 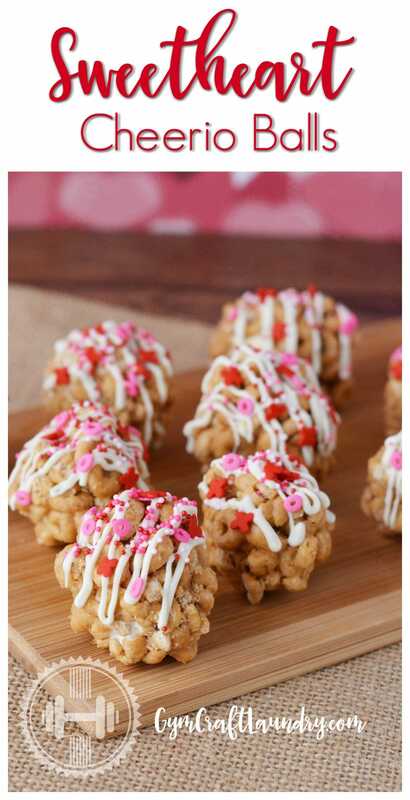 Drizzle melted chocolate on a few balls, about 3, and sprinkle with sprinkles before they harden. Melt chocolate again if needed and drizzle on another few balls. There you have it! 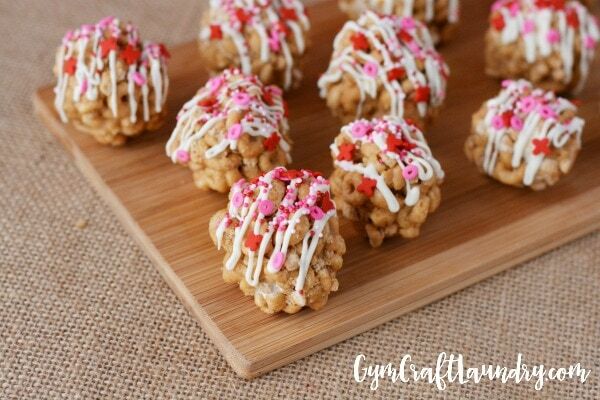 A sweet Valentine’s Peanut Butter Cheerio Balls treat!